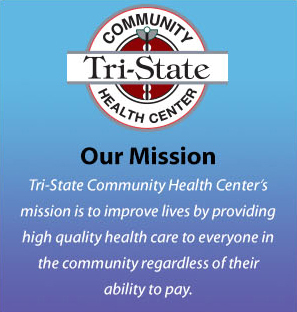 Tri-State Community Health Center will provide translation services for patients who are hearing impaired or who have language barriers. Our office will schedule translation services for on-site visits for our patients free of charge. If cancellations are necessary, we request that those cancelations be made at least 48 hours prior to your scheduled appointment. Our patients may also access the Telecommunications Relay Service (TRS) by calling “711” from any state. This service is intended for direct communication between our hearing-impaired patients or patients with language disabilities and our office staff to enhance patient information privacy.